INDIA: Scientists unveiled Tuesday an affordable vaccine against a deadly diarrhoea - causing virus that kills over 100,000 children in India every year. Rotavirus, which causes dehydration and severe diarrhoea, is globally responsible for around 453,000 deaths annually and is particularly threatening in Africa and Asia, where access to urgent healthcare is often out of reach. K. Vijaraghavan, secretary of India's Department of Biotechnology which steered the hunt for an affordable rotavirus vaccine, said it was a product of international cooperation, although it has yet to be approved by New Delhi. “The result is a world-class vaccine for India's children,” he told a press conference in New Delhi. “For the first time we have taken a vaccine from the earliest discovery to every stage of development and that is a very remarkable thing for India,” he said, adding that the dollar-a-dose oral vaccine was ready for production. The vaccine named Rotavac will be manufactured by Hyderabad-based Bharat Biotech pharmaceutical firm which has said it has the capacity to mass produce 60 million doses after clearance is given. 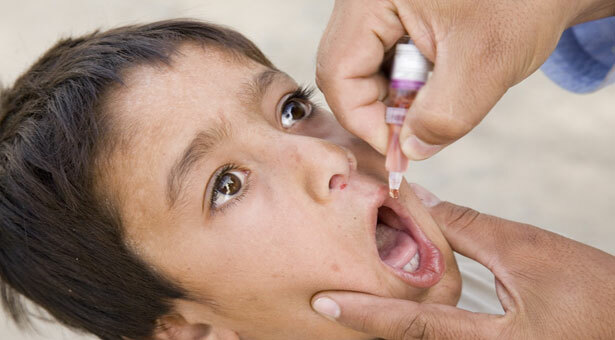 Each vaccination consists of three doses. Rotavirus is blamed for causing up to 884,000 hospitalisations in India a year, at a cost to the country of 3.4 billion rupees ($72 million), scientists say. “We have (now) added to our know-how and capacity in ways which will pay dividends for development of future solutions,” said Vijaraghavan. Each dose of licenced vaccines from GlaxoSmithKline and Merc cost around 1,000 rupees ($18), said Sushmita Malaviya of PATH, an international healthcare organisation which is also part of the Rotavac programme. M.K. Bhan, who pioneered the project after local scientists discovered a localised rotavirus 23 years ago in a New Delhi hospital, said the development was a boon for India's creaky public health service. “Total 25 percent of all diarrhoeal admissions would be prevented by this and that means you will have 25 percent less diarrhoeal illnesses of severe nature in India which is a very substantial public health gain,” he said. “We have a good vaccine which will be useful and we will do post-marketing surveillance and keep accumulating more experience.” More than 300,000 babies die within 24 hours of being born in India each year from infections and other preventable causes, according to a report last week by Save the Children.